No reservations are required. Each party is typically sponsored by one of the warfare communities, which provide food. 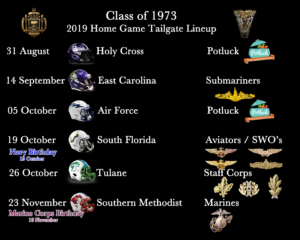 For “Potluck” tailgates, everyone should bring something suitable for a tailgate event. Donations are requested – typically, $20 per attendee – to cover cost for the beer, wine, bottled water, and other refreshments that are provided for each event. 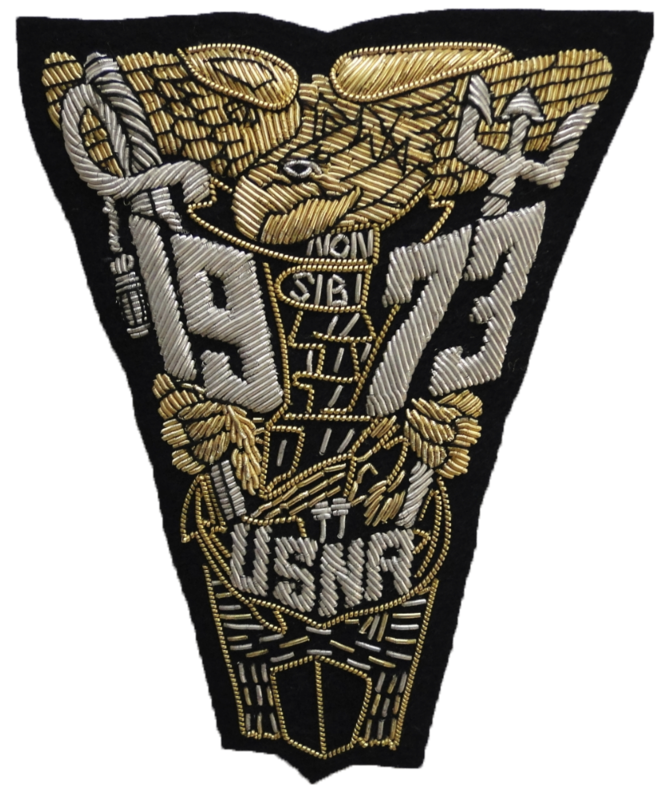 Navy Athletic Director Chet Gladchuk, Jr. and his wife donated a flagpole to the Class of 1973. It is located at the stadium, just above the clearing where our tailgate celebrations are held. 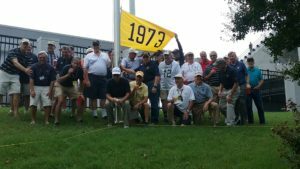 The following picture shows classmates who were present at the September 15, 2018 tailgate “gathered around the flagpole. Sat Sep 7 N.A. OFF N.A. Thur Sep 26 Liberty Bowl Mem. Stadium, Memphis At Memphis Tigers N.A. Sat Oct 12 H.A. Chapman Stadium, Tulsa Tulsa Golden Hurricane N.A. Fri Nov 1 Rentschler Field, East Rutherford UConn Huskies N.A. Sat Nov 16 Notre Dame Stadium, S. Bend Notre Dame Fighting Irish N.A. Sat Nov 30 TDECU Stadium, Houston Houston Cougars N.A.